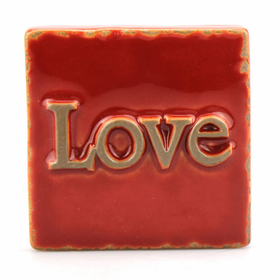 CoppinsGifts.com provides you with many exceptional jewelry choices for all of your personal and gift needs. 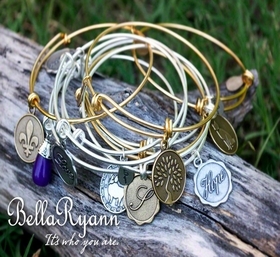 You'll find great choices for accenting your own wardrobe, expressing your style and personality especially with our new line of Bella Ryann Bracelets. The bracelet designed for women who know who they are and wear their passion. Our DaVinci Beads selection is also exquisite! Charm jewelry has gained new interest, as beaded charms provide a more versatile approach to traditional accessories. Women of varied interests are able to find colorful and symbolic charms to add to their bracelets and necklaces, and DaVinci Beads provide a diverse range of options for use as gifts. For younger girls, though, there is a wonderful collection of age appropriate charms. 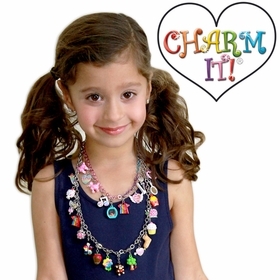 CHARM IT!® Charms are colorful and fun, perfect for the girl in elementary school or middle school. You'll find popular characters and themes featured in our collection of CHARM IT!® Charms, and we provide you with wonderful bracelets to consider as well.